One Oil to Rule Them All. At Young Living Essential Oils, we pride ourselves in being on the cusp of technology, purity, and usefulness with our oils and oil blends. My Step-By-Step Guide can help you find all answers to life’s questions of health, well-being, prosperity, and immortality. But now, your life will be reinvented with our new line of oils, The Galactic Power Collection. The GPC will change the way you think of your health and of treating all of your family’s ailments. It is a highly researched set of blends that will help you learn to align your body with The Universal Rhythm. Jupiter will bring peace to the rhythm of your soul, Mercury will bring into focus the rhythm of your mind, Venus will speak to the rhythm of your muscles, Mars will create a rhythm in your relationships, Saturn will bring rhythm to your bowels, and Neptune will normalize the rhythm of your emotions. But the most powerful oil ever created and ever imagined will change the way this universe operates. Uranus. The Oil of Uranus is formed from precious minerals deposited by asteroids found deep in the bowels of the earth. To retrieve them, we had to spelunk some of the world’s darkest and most dank caves, finding rocks that had previously never seen the light of day. To create Uranus, we ran the rocks through 200 feet of twisting, moist tubing that squeezes the oils out of the rocks as they pass by. The rocks are then ejected from the tubing and recycled in our composting bin. Now. What can Uranus do for you? Uranus can do an infinite number of things – with its pleasing aroma including slight chocolate tones mixed with florals and a fresh soil aftertaste, Uranus will intoxicate you at the first whiff. If you find yourself with any kind of head cold, just rub Uranus onto your temples, and within an hour, you will find yourself healed and free and singing praises about Uranus. Also, just two drops of Uranus can and will cure all Fungal Infections of the foot. Uranus literally squeezes out the toxins. Your children will also highly benefit from Uranus – in fact, Uranus can improve the health your entire family, pets and all! 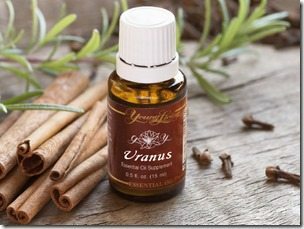 If your baby gets an Ear Infection, just a tiny spritz of Uranus into the ear canal will immediately stop the pain. Use caution, though – Uranus can cause diaper rash if not mixed with a carrier oil. When your toddler inevitably contracts the dreadful Hand, Foot, and Mouth Disease, add a little Uranus to the mix and they will feel better by morning. And for those school-aged children, nothing kills lice like Uranus. Forget about those pesky lice combs – massage Uranus into their scalp twice a day instead! Swimmer’s Ear can also be prevented with Uranus, so don’t forget to bring it along next time you drop the kids off at the pool. If your adolescents struggle with acne, Uranus can help them, as well. Just rub Uranus into their pores and you will see the transformation. As a bonus, Uranus erases freckles and tightens up wrinkles. If one of your children is struggling with Attention Deficit Disorder, just leave two drops of Uranus on their school books and be amazed at the difference it will make. Uranus can even help around the house. If your sinks get clogged or begin to develop an odor, drop a bomb of Uranus down each one for a fresh, happy, clear drain. But there is no power so great as keeping Uranus diffused throughout your house. The aroma of Uranus will bring rhythm and harmony to your family like you’ve never experienced. Your husband will swoon under the power of Uranus, your children will become kind, obedient angels, and will even pick up after themselves. And as a bonus, cockroaches will scamper out of your home at the first trace of Uranus. Knowing how to properly utilize and employ Uranus will change your family forever. Next Post Returning to Eufaula. Previous Post What Really Happened In Eufaula. “And for those school-aged children, nothing kills lice like Uranus. Forget about those pesky lice combs – massage Uranus into their scalp twice a day instead!” I’m still giggling!!! Happy to know all Uranus can do for me!! First thought: No, please not Rachel. Second thought: Oh, thank goodness. Third thought: How can I share this with my annoying, snake oil salesman neighbor without her knowing it’s from me. If the ALDC starts using GPC they could take over the universe. But can it get rid of the squirrels in Katherine’s attic? Oh…my…goodness!!! I laughed so hard out loud (my co-workers now think I’m looney…well, now even more than usual).